MARK AND I BOUGHT A HOUSE!!!!!!!!! After looking at 50+ houses and bidding on 1 other house, we finally found a place to call our own. If you live in Minneapolis, then you know how crazy this market is. You have to be prepared to bid on a house the day it’s listed as they’re getting picked off the market in sometimes under a day or never even listed (like ours!). We were at an open house with about 20 other couples only to realize the house was much too small. A big kitchen and an on-suite master bathroom were non-negotiables and TBH, very hard to find in our price range in this market. As we were leaving the house, I noticed something spectacular. The home next door (OUR HOUSE) had a coming soon sign in the front yard and looked to be an identical house to the one we just toured but with an expanded kitchen and upstairs. PRAISE BE TO THE HOUSE GODS. We called the listing agent and stalked them until we convinced them not to list the house so that we could buy it. We had to put in a strong offer for them to accept, but I am squeezing myself now that it’s finally ours. 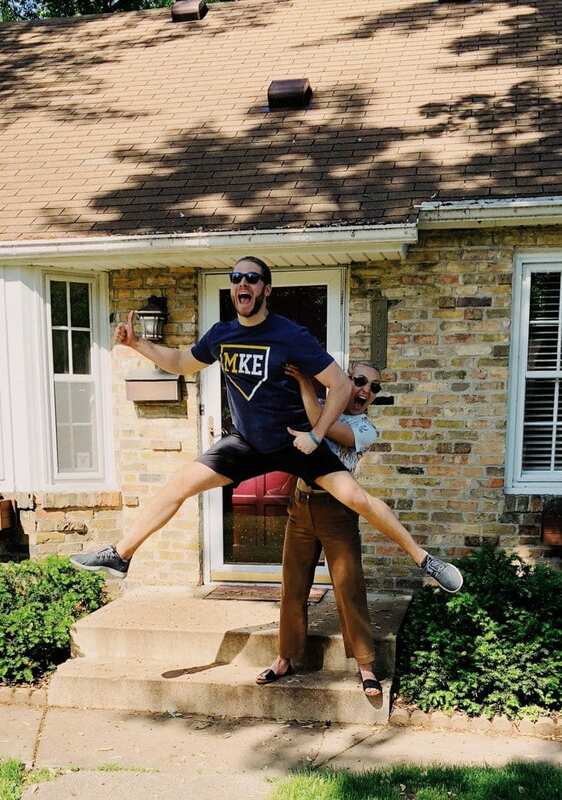 After the shorts closing known to mankind (17 days), we’re officially homeowners!!!!! We have our current lease through the end of June so plan to take our time moving in. I’ve got big plans for this casa and step one is painting the entire house and new windows! You bet your bippy I shopped the West Elm Memorial Day sale last weekend. I’m SO EXCITED. That’s all from me for now. GET ON MY EMAIL LIST because I’m sending out a special email to FFF subscribers with more photos of inside the house + we’ll be chronicling lots of projects/renovations that we have planned!